In the pleasant atmosphere of a restaurant with a capacity of 120 seats, we offer international cuisine, a wide range of alcoholic and non-alcoholic drinks, coffee and fresh homemade cakes. Fresh meals are prepared with a professional chef's access. Whether you are visiting us for a romantic dinner, a business meeting or a corporate or social event, the taste and quality of our cuisine will surely appeal to you. 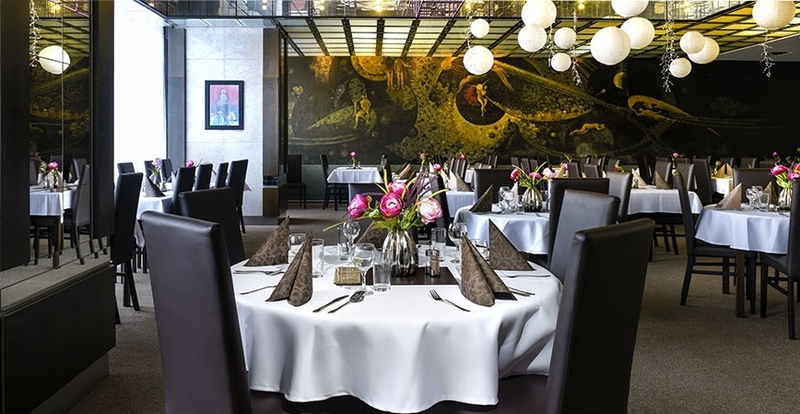 Restaurant spaces are a good place to sit with business partners or enjoyable moments with family and friends. In order to make your day pleasant, we recommend a buffet breakfast with a wide assortment of breakfast meals. In the summer months, a summer terrace is part of the restaurant, where you can enjoy not only our specialties but also the surroundings of our spa town. For any information please contact our F & B manager, who will be happy to answer r any questions.